An automobile has many different working parts that must be operating at top levels to keep the driver and his passengers safe. Tires are no exception to this rule. A worn down or punctured tire can be catastrophic to anyone on the road. At Hunts Point Auto Sales & Service, they know their tires. Whether it is brand new tires, rotation, or alignment, Hunts Point Auto will get the job done. Tires can be extremely sensitive if they are not maintained properly. If you live in or around the Bronx, NY area and need tires, then head on down to Hunts Point Auto Sales & Service for those tire needs. Family owned and operated since 1958, they have always held themselves to highest standards when it comes to tires and any other repairs they service their customers with. No tire task is too small for their expert technicians to amaze you with. Whether it is a rotation or a set of brand new tires, Hunts Point Auto Sales & Service are so confident in their abilities and standards that with every service rendered they offer a two year, 24,000 mile nationwide warranty. Ask anyone in or around the Bronx, NY area and they will tell you, there is no one better to service your tire needs. They are the most honest and integrity driven shop in the Bronx area. Hunts Point Auto Sales & Service is your one stop tire shop. Let owner and operator, Fred Donnelly, and his team of expert technicians take this problem off your hands and create the simple solution. Tires are an important aspect in a vehicle’s efficiency. So, if you are in the Bronx, NY area and are in need of new tires, rotation, or even alignment, then call Hunts Point Auto Sales & Service. 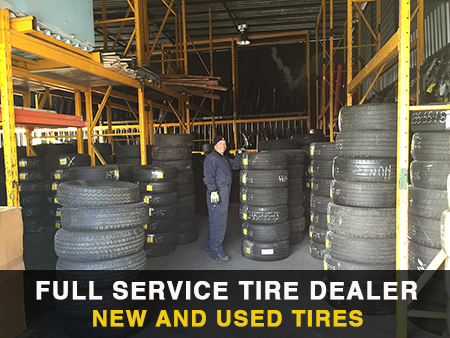 Their specialty in tires makes them your number one choice to serve you. When Fred and his team say they are going to do something, they do it. They hold themselves to a higher level when serving your tire needs in and around the Bronx, NY. Make sure your vehicle is safe. Make sure your vehicle runs smoothly and generates longevity in its operating life. To do this, take your tire needs to Hunts Point Auto Sales & Service. You will not regret it.